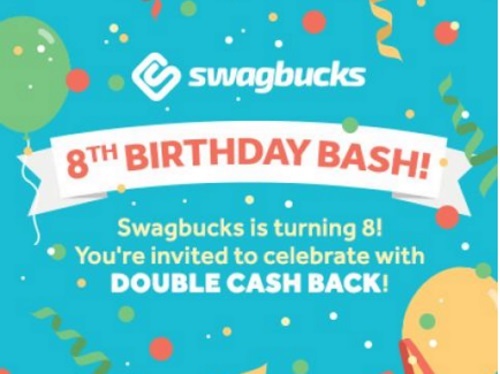 Swagbucks is celebrating their 8th birthday this year with a bash! Do what you always do? Head to Swagbucks and visit all of your favorite retailer's websites, it’s that simple! All of your favorite retailers are offering Double Cash Back including: 10% Back at Yves Rocher, 5% Back at Hotels.com, 6% Back at Keurig, 8% Back at Expedia, 2% Back at Amazon.ca, and many more!